Carla was nominated by her peers and selected because she goes above and beyond on a daily basis for the veterans and her co-workers, making sure that the veterans and her fellow co-workers feel like they are special. Carla assists the on-coming CMT or nurse at the end of her shift by having the cooler ready on the medication cart and a pitcher of fresh water for the next shift so the CMT or nurse is ready to go. Every Tuesday she writes down the medications that need to be ordered to ensure that the veterans don't run out. She also frequently volunteers to change her work schedule to help cover shifts. Carla assists a veteran with defrosting his freezer every month. She went out of her way to frequently speak with another veteran who had a family member pass away unexpectedly leaving him tearful and upset. Her interactions with that veteran meant a lot to the veteran and he had several complimentary things to say about Carla for visiting with him. 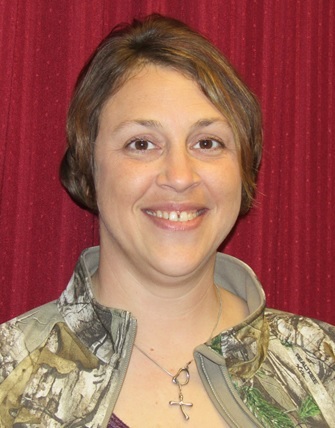 While employed with the Missouri Veterans Commission Carla has day after day exemplified true dedication to the commission's mission statement of honoring and serving our veterans. She is a true role model for all commission staff and her dedication for those we serve reflects well on the commission as a whole and on herself in particular. Carla will be honored January 30, 2018 at a 2 p.m. ceremony at the Missouri Veterans Home – St. James in St. James, Missouri. Tiffany was nominated by her peers and selected because she is a good example of how to care for our Veterans with Alzheimer’s disease and other Veterans with a variety of dementia diagnoses. Tiffany’s interactions and conversations with the Veterans are personal, kind and loving. She has a unique talent of creating a stable, calm environment among chaotic variables. She is always where the Veterans are to keep them close and provide protective oversite. Tiffany also teaches and shares her skills with other staff with one goal in mind - allowing all Veterans on the Special Needs Unit to be safe, healthy and have the dignity they deserve. While employed with the Missouri Veterans Commission Tiffany has day after day exemplified true dedication to the commission's mission statement of honoring and serving our Veterans. She is a true role model for all commission staff and her dedication for those we serve reflects well on the commission as a whole and on herself in particular. Tiffany will be honored February 27, 2018 at a 1 p.m. ceremony at the Missouri Veterans Home – Mexico in Mexico, Missouri. Darla was nominated by her peers and selected because while employed at the Missouri Veterans Home - St. James, she has worked in three different departments and excelled in all three, using what she learned to better serve the Veterans in each new position. Darla creates moments of joy daily and the Veterans love her personality and infectious energy. She has been able to get the most reluctant Veteran to participate by tailoring activities to the Veteran’s preferences. She also volunteers in other departments when they are short staffed and on her days off without being asked. This dedication has been a part of Darla's service since she started at MVC-St. James nine years ago and it has never waivered. 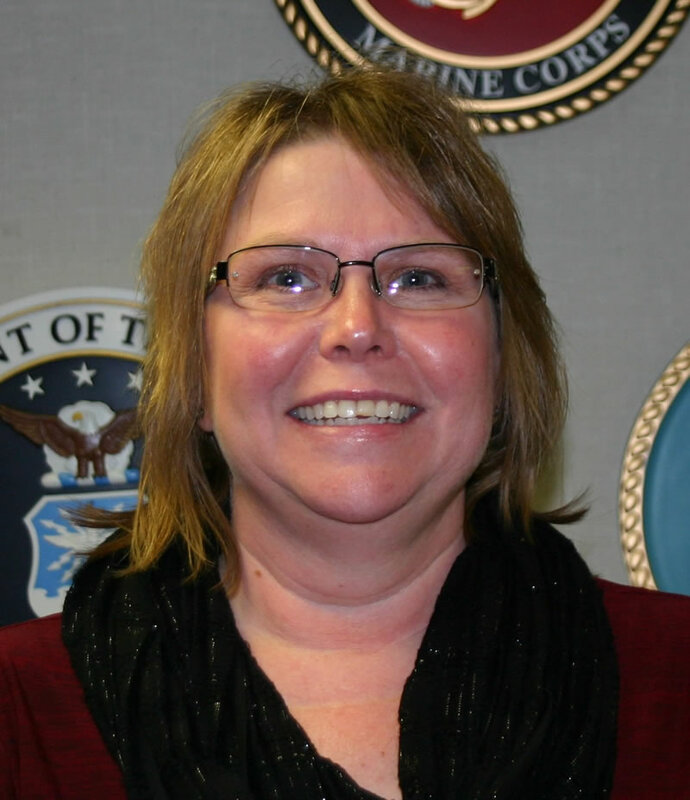 While employed with the Missouri Veterans Commission Darla has day after day exemplified true dedication to the commission's mission statement of honoring and serving our Veterans. She is a true role model for all commission staff and her dedication for those we serve reflects well on the commission as a whole and on herself in particular. Darla will be honored March 13, 2018 at a 10 a.m. ceremony at the Missouri Veterans Home – St. James in St. James, Missouri. Holly was nominated by her peers and selected for the many tasks that face a House Supervisor on a daily basis. As House Supervisor, Holly has to manage the helm and in the absence of other department leaders, make impactful and meaningful decisions about the care and safety of 200 Veterans, a revolving number of visitors, and over 200 staff members. Holly also took it upon herself to become a certified CNA instructor, studying and applying her passion for education to teach. She now juggles both the house demands with the class demands, increasing the home workforce while still maintaining quality care and service to the Veterans and staff she supervises. While employed with the Missouri Veterans Commission Holly has day after day exemplified true dedication to the commission's mission statement of honoring and serving our Veterans. She is a true role model for all commission staff and her dedication for those we serve reflects well on the commission as a whole and on herself in particular. Holly will be honored April 28, 2018 at a 2 p.m. ceremony at the Missouri Veterans Home – Warrensburg in Warrensburg, Missouri. Roger was nominated by his peers and selected for being not only a team member, but a family member to many of the Veterans in the facility. 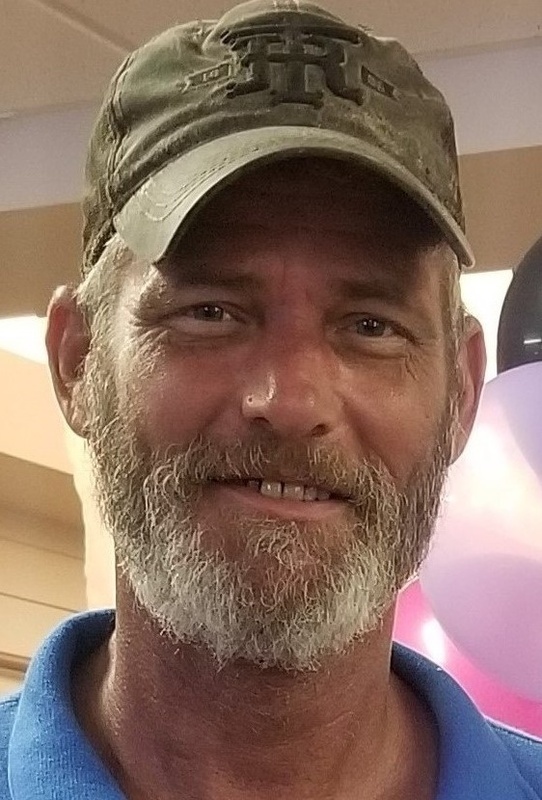 Although Roger has specific assignments and locations that are his responsibility, he is willing to do any task on any floor he is asked to work on. His attitude is phenomenal, easy going, yet determined to make a difference. Roger does his work and more, always returning early in his shift offering to do more, help others, or just check on his teammates. He is the first to volunteer to work the holidays, never complaining, while doing it with a smile. 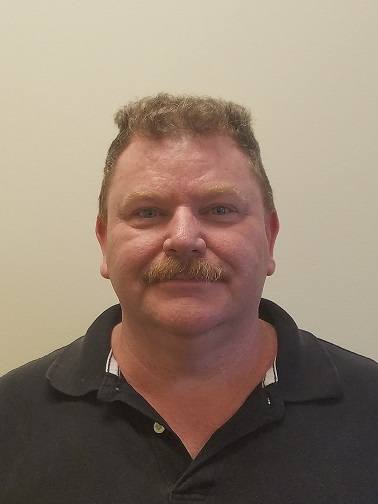 While employed with the Missouri Veterans Commission Roger has day after day exemplified true dedication to the Commission's Mission Statement of honoring and serving our Veterans. He is a true role model for all Commission staff and his dedication for those we serve reflects well on the Commission as a whole and on herself in particular. Roger will be honored May 31, 2018 at a 1:30 p.m. ceremony at the Missouri Veterans Home – Mexico in Mexico, Missouri. Eugene was nominated by his peers and selected for truly going above and beyond in his duties. 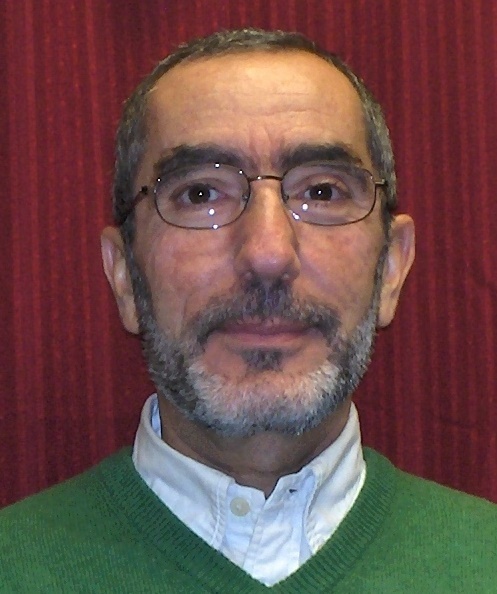 Eugene has been noted as the "go to" person across the Northeast Region, all while managing the Columbia office by himself at times. Not only has he been training another Veterans Service Officer, but he still manages to provide attention to detail to the Veterans who come in and request his services without missing a beat. Eugene’s knowledge and persistence with claims is outstanding and appreciated by the organization and the Veterans he serves. While employed with the Missouri Veterans Commission Eugene has day after day exemplified true dedication to the Commission's Mission Statement of honoring and serving our Veterans. He is a true role model for all Commission staff and his dedication for those we serve reflects well on the Commission as a whole and on himself in particular. Eugene will be honored June 20, 2018 at a 12:00 p.m. ceremony in Columbia, Missouri. Kyle O’Leary, Maintenance Worker II for the Missouri Veterans Home – Mt. 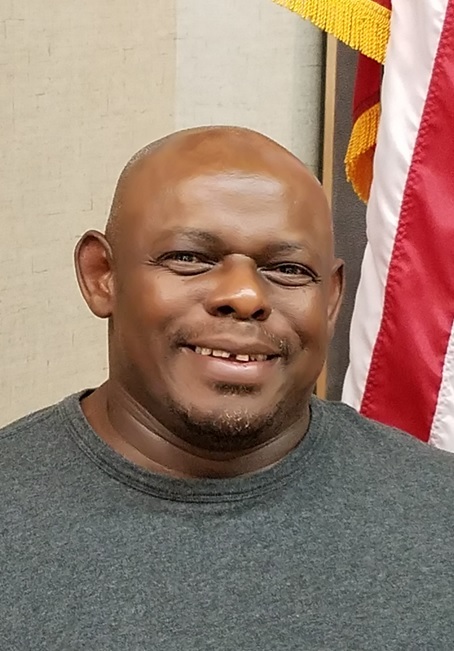 Vernon, was selected as the July 2018 Missouri Veterans Commission Employee of the Month. Kyle was nominated by his peers and selected because of his dedication to the facility and the Veterans in his care, and his willingness to always help with anything that needs to be taken care of in a timely fashion. Kyle has a great attitude with co-workers and Veterans, staying late if needed to finish or make repairs. Kyle learned the workings of the building’s equipment very quickly, enabling him to make necessary repairs in a timely manner. 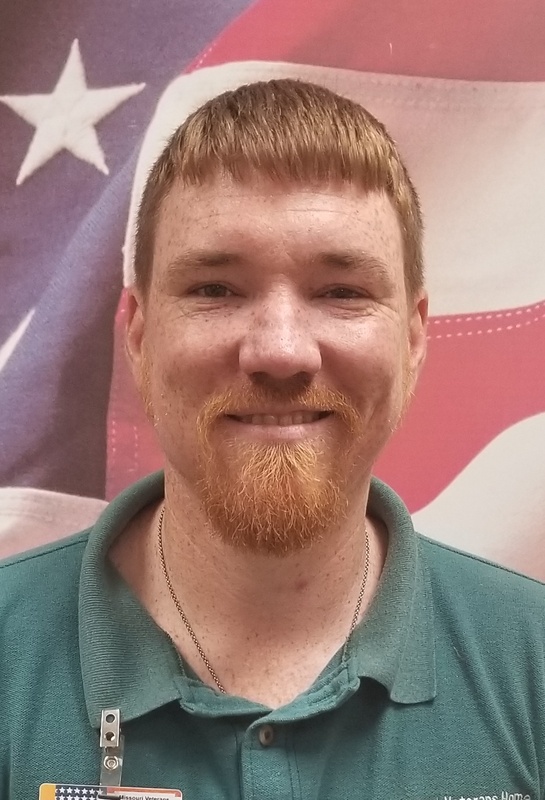 He is always willing to help in an emergency, such as recently when the home was having air conditioning problems, Kyle worked day and night to make sure the Veterans and employees were happy and comfortable. While employed with the Missouri Veterans Commission Kyle has day after day exemplified true dedication to the Commission's Mission Statement of honoring and serving our Veterans. He is a true role model for all Commission staff and his dedication for those we serve reflects well on the Commission as a whole and on himself in particular. Kyle will be honored August 8, 2018 at a 2:00 p.m. ceremony in Mt. Vernon, Missouri. Roberta was nominated by her peers and selected because she consistently takes the time to know each and every Veteran she cares for and not just their care routine. Roberta doesn’t hesitate to speak up and mention something that may enhance or improve a Veteran's quality of life and she passes this on to those she trains as well. 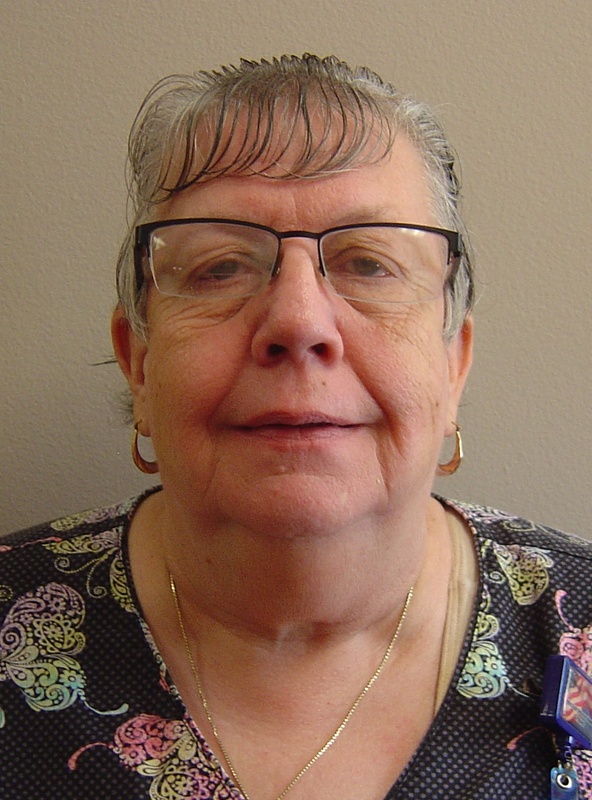 While employed with the Missouri Veterans Commission, Roberta has day after day exemplified true dedication to the Commission's Mission Statement of honoring and serving our Veterans. She is a true role model for all Commission staff and her dedication for those we serve reflects well on the Commission as a whole and on herself in particular. Roberta will be honored September 26, 2018 at a 2:00 p.m. ceremony at the Missouri Veterans Home – St. James in St. James, Missouri. Gus was nominated by his peers and selected because of his outstanding work performance. He brings high energy, positive attitude and a personal touch to the Recreation Department and to the Home. Gus goes above and beyond by helping his other units with paperwork, gardening with Veterans and taking them for walks. Most recently Gus helped set-up, conduct and participate in a funeral held in the Chapel, which outside members commented on what a great job he did. Gus started his career at MVH-Warrensburg as a Nursing Assistant I in December of 2013. Gus advanced his career to be a Certified Medication Technician, passing medications to the Veterans. In December of 2017, Gus advanced his career even further, by joining the Recreational Department, as an Activity Aide II. While employed with the Missouri Veterans Commission Gus has day after day exemplified true dedication to the Commission's Mission Statement of honoring and serving our Veterans. He is a true role model for all Commission staff and his dedication for those we serve reflects well on the Commission as a whole and on himself in particular. Gus will be honored October 25, 2018 at a 2:00 p.m. ceremony at the Missouri Veterans Home – Warrensburg in Warrensburg, Missouri. Daren was nominated by his peers and selected because he is a do-it-all technician and showed leadership among fellow co-workers. Daren works tirelessly to ensure the facility is running smoothly by working various shifts when required. From taking the lead of staff office moves & remodels to reconfiguring the pole barn to be more efficient and many other projects that including saving the home thousands in contractor costs, he has truly gone above and beyond to make the St. Louis Veterans Home the best facility it can be. While employed with the Missouri Veterans Commission Daren has day after day exemplified true dedication to the Commission's Mission Statement of honoring and serving our Veterans. He is a true role model for all Commission staff and his dedication for those we serve reflects well on the Commission as a whole and on himself in particular. Daren will be honored November 29, 2018 at a 1:00 p.m. ceremony at the Missouri Veterans Home – St. Louis in St. Louis, Missouri. Donnetta was nominated by her peers and selected because of the reports she created for management addressing purchasing cards users and transactions, MVC state issued mobile devices, and MVC fleet. She took these four projects on and delivered an excellent product. While employed with the Missouri Veterans Commission Donnetta has day after day exemplified true dedication to the Commission's Mission Statement of honoring and serving our Veterans. She is a true role model for all Commission staff and her dedication for those we serve reflects well on the Commission as a whole and on herself in particular. Donnetta will be honored January 9, 2019 at an 11:30 a.m. ceremony in Jefferson City, Missouri. The Missouri Veterans Commission has established the Employee of the Month Program to recognize employees within the Missouri Veterans Commission for outstanding service. If you would like to recognize a fellow co-worker for their outstanding service, please refer to your program’s policy manual for nomination procedures.